» How to avail cashless service at network hospital? 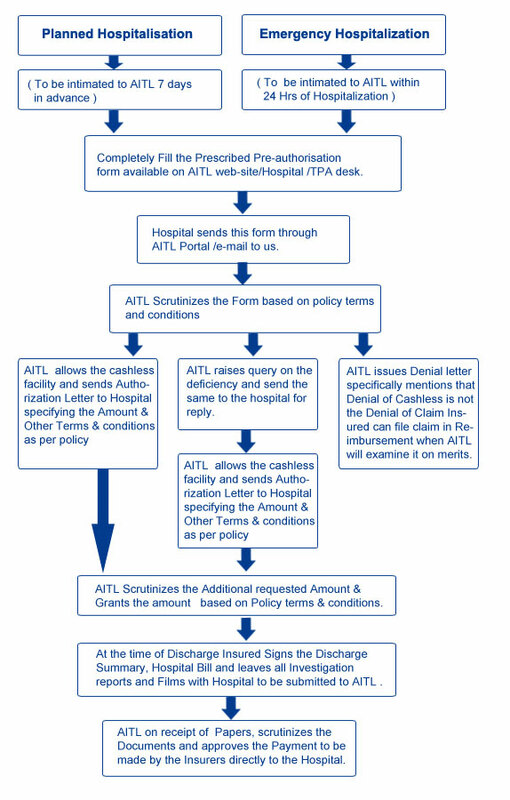 Cashless Services can be availed by the Insured by following the Process Flow as mentioned below. He(you) needs to check the current list of networking Hospitals list (PPN) from our web-site for availing the cashless Facility. Insured needs to pay for Non Medical items, deductions done as per the policy terms & conditions by AITL and co-payment if any to the hospital before discharge and get the reciept having details of deductions.